The idiom “A picture is worth a thousand words” refers to the notion that a complex idea can be conveyed with just a single still image. The same is the case with a prototype. A prototype is a clickable journey of your proposed design. Using a prototype, it becomes much easier to convey your concept and user flow to your customer before writing a single line of code. Getting early feedback and making updates in a prototype is much convenient and almost takes no cost as compared to making changes in an implemented system. Design can be finalized to maximum possible extent before implementation phase. It is obvious that a prototype cannot cover each and every aspect of your product, but it definitely helps you finalize layout and user flow. Make prototyping part of your design process. Prototypes can be used to define product enhancements as well as for pre-sale activities. A well-defined prototype can increase your customer lead generation. A big advantage of prototyping is that if it is right, you will earn the project, and if it is wrong then you will learn about things need to avoid in future. 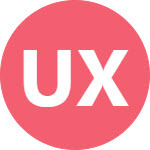 ‹ PreviousHow To Be A Great UX Mentor?